An intoxicating scent to invigorate your playful side. Vibrant bergamot flirts with feisty black pepper and lively lavender for an initial bloom of high spirited sensuality. 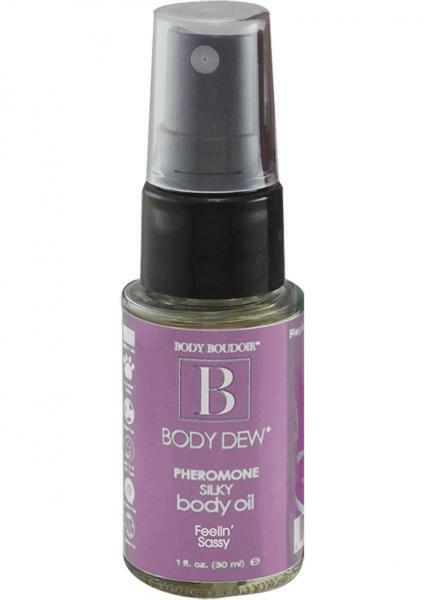 Rosemary and a soft woodsy tone compliment this frisky, fragrant addiction- Pheromone infused- Paraben-Free- Sugar-Free- Sulfate-Free- Made in USA- No Animal TestingReplenish Sexuality and moisturize for Skin that Begs to Be Touched!